Many women choose to return to school after having children. Sometimes this is for a career change, promotion, or perhaps to set up on their own. In other cases, it’s simply to satisfy a love of learning, or to do something for themselves, outside of the family. If you are considering a return to school, it can be difficult, and stressful, but these tips should help make it manageable and even enjoyable. Online study offers you a lot more flexibility than studying in school. Choose to study once the kids are in bed, or when they are with someone else. Study for small periods every day instead of longer spells. Without being tied to school timetables, you can fit your studies around your family commitments much more easily. 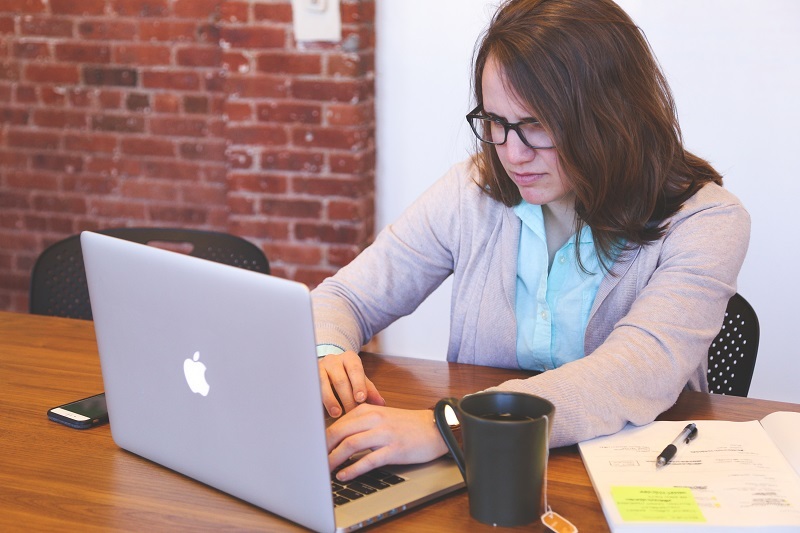 More universities are now offering a wide range of online courses, from online masters of counseling to online PHDS, so you are certain to find a program of study to suit your needs. Organization is going to be incredibly important. Write everything down in a diary or on a wall planner. When you are able, try to plan in set study times. Having a great routine, both with the kids and with your studies will be a huge help. Children often have a lot of questions about what we are doing and why, as well as worries about how these things will affect them. Try to answer any questions. Consider making up games, or reading books relating to your field of study to help them understand and feel part of it. When we are busy, it’s easy to let things slide. Be sure to eat a healthy diet, drink lots of water and get some exercise, even if it’s just going for a walk or doing an online fitness video. Looking after yourself will help keep you focused and alert. Make sure you get a good eight hours sleep when you can, but also take a proper break sometimes. Getting away can be a great way to re-energize and gain a fresh perspective. If you can’t manage a proper holiday, have a day out with the kids leaving your studies behind. Other ways to relax could include a long bubble bath, or treating yourself to a shopping trip. Plan things as far in advance as you can. If you have any exams coming up, or assignments due, try to organize extra childcare. Look at any future appointments or events the children have, and make sure you can take time away from your studies. Moms often feel guilty for asking for help, or admitting they can’t do it all. Don’t. Your family and friends want to help you. They probably also love spending time with your children. So, whether you just need a night to yourself, or you need some time to prepare for exams, ask for help. If you are interested in some fantastic online study programs, or would like to see online counseling course descriptions, Wake Forest University can help. However you chose to study, remember that moms can do anything they set their minds to. Do you find it difficult to stay motivated when you study? It’s a problem that affects countless students and an issue you need to address quickly so that you can get the best results possible and graduate with a valuable qualification. Below are some of the most effective ways moms can stay motivated while they study. 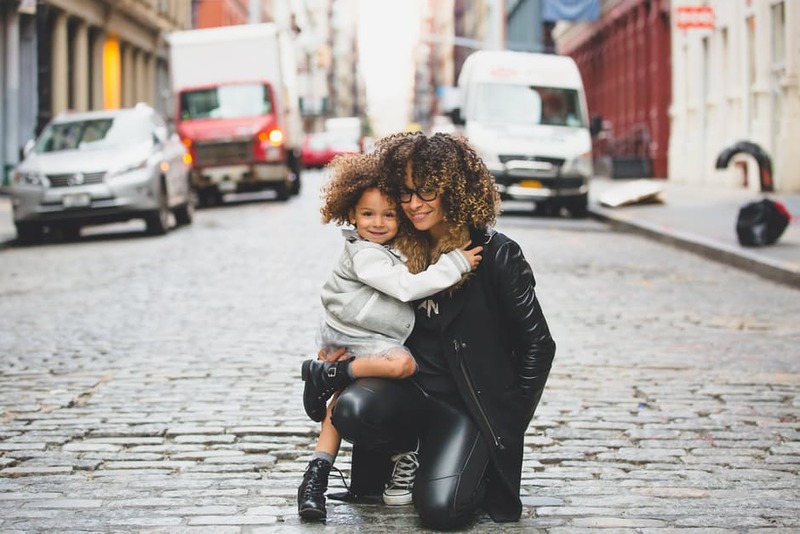 In most instances, moms decide to start a new course because they want to improve their own lifestyle and the lifestyle of their family members. You should constantly remind yourself about the opportunities that will present themselves once you graduate. For example, if you decide complete an MBA, find out what the top careers for MBA grads are. A simple exercise like identifying possible careers with an MBA is an extremely powerful way to encourage yourself to study to the best of your abilities. When you begin any course, it’s vital to set goals. For example, you should try to set short term, manageable goals. Every time you complete a certain short-term goal, you will start to feel a sense of achievement. As you continue to complete these short-term goals, you’ll also find that they add up to much longer term goals that would have been more difficult to achieve if you did not take this approach to your studies. There are times when a student needs to be serious about their education and there are times when they need to enjoy themselves and rewind. Each time you set and complete a specific study goal, make sure you reward yourself in some way. This could include taking a break from your studies for a few days, going out with friends or family, or spoiling yourself in some other way. While you study, you need to stay fit and healthy. A healthy lifestyle will ensure that you are more alert and won’t suffer as much from tiredness and fatigue. A healthy diet, regular exercise and staying hydrated are just some of the simple ways you can maintain a healthy body and a healthy mind, so that you’re able to face all of the stresses and obstacles associated with student life. Students sometimes need help from other people to get over certain bumps in the road. Make sure you have the support of your family and friends during this challenging time. As well as this support, it’s important to reach out to fellow student who are going through the same experience as you are. These other students may need help too, so building relationships and study support groups in this way could benefit everyone involved. If it’s going to take a long time to complete a course you have signed up for, there will be times when things will go wrong or you lose focus. 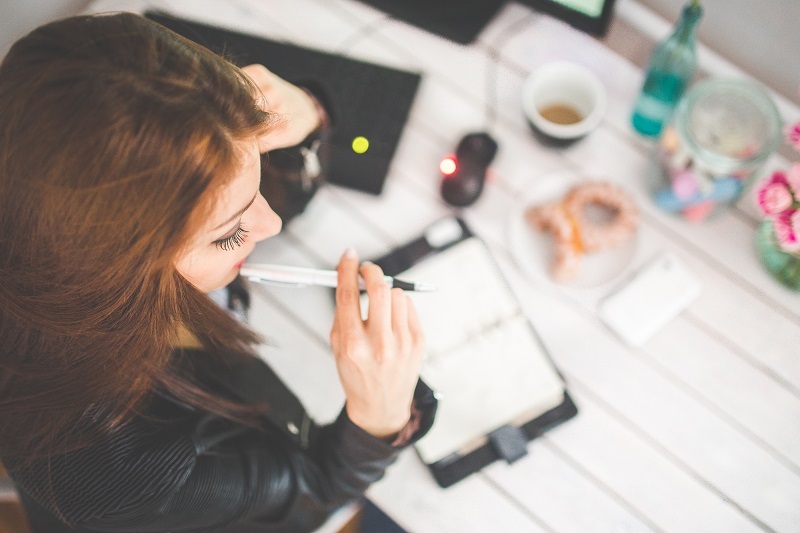 However, if you concentrate on the final outcome of your studies and take into account each of the points above, it will become much easier to stay motivated while you study. Being a mom can be tough. Some call it the toughest job around. But taking care of babies is just one part of the challenge. The other part is trying to avoid being a stereotypical mom and standing out in the crowd. Women want to be more than just a parent. They want to be an individual. The following are 7 ways you can really become your own person that will impress others. Dress to impress. This doesn’t mean you have to wear designer clothes while hanging around the house changing diapers. But when going out, wear something with a style that fits your personality. Don’t be afraid to stray a little out of your comfort zone. And you don’t have to spend a fortune on your wardrobe. You can buy very fashionable clothes that are affordable if you know where to look. For example, you can find great deals at Saks Fifth Avenue with coupons and promo codes. Be outgoing. For many moms, especially new ones, meeting new people can be difficult. The key is to be outgoing. While this is easier said than done, being outgoing simply means to talk to new people. Find other moms to have conversations with (you do have something in common, after all). Don’t just stay home every day. Have a hobby you’re passionate about. Having something to do that you love, other than being a mom, will open up new possibilities for you. For example, certain hobbies are very sociable and have close-knit communities. This will help you expand your horizons beyond just being a mom. Be confident. Having confidence in yourself means you’re not afraid to be the center of attention. You can talk about any subjects, even ones you don’t know anything about because you know the right questions to ask. People are drawn to you because you can make the best of any social situation. Read books about interesting topics. Being well-read will help you be more confident when out and about town. Reading will also expand your horizons beyond the world of parenting. You can easily find a new passion while reading. Think about joining a book club. Most meet in the evening, giving you much-needed relief from your parenting duties. Travel. Yes, traveling with kids can be a challenge. But there’s no substitute for getting out and seeing the world. Traveling will also help you meet new people, have new experiences and give you an education you can’t get anywhere else. Traveling doesn’t have to be expensive, great travel deals are all over the internet. Be strong with your opinions. This means not to compromise what you believe just to please others and avoid conflict. Your own opinions about the world around you make you unique, so embrace them. But this doesn’t mean you can’t be open to new ideas. Listen to what others’ opinions and try to see things from their point-of-view. And always remember to be respectful. 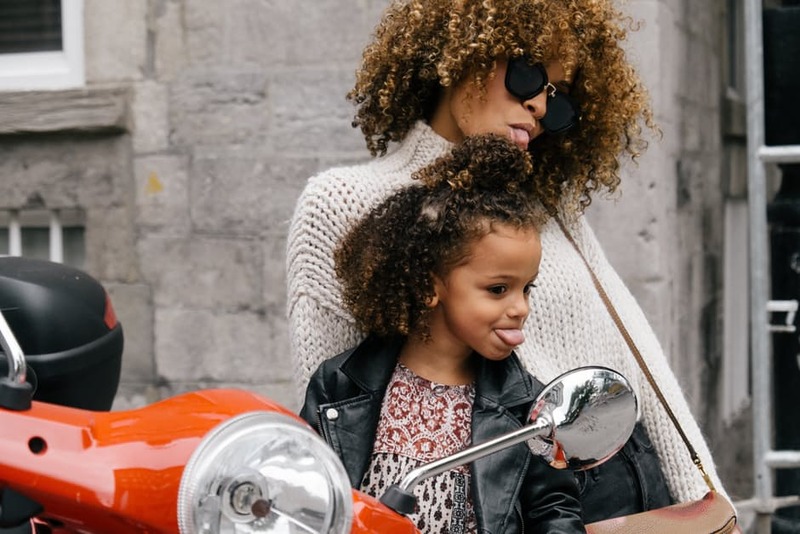 Standing out as a mom doesn’t have to be hard, or even that expensive. Keep an open mind and be proud of who you are. Everything else will follow. Everybody has ambitions to finish university and get a job that pays a decent salary, but it can be hard to decide on a career with so many to choose from. Plus, while earning a good salary is important, you also need to find a job you like so that you will be motivated to work as hard as you can. You probably want a career that has great progression opportunities and attractive benefits, but those jobs can often be the hardest to find. If you want a job that allows you to help people on a daily basis, you might be interested in becoming a dentist. However, though being a dentist is very rewarding, you’ll have to work extremely hard to land a job in this tough industry. You need to master the art of dentistry to perfection before you’ll be considered for a position because dental practices need to know that you won’t make any costly mistakes. In addition, you need to find a good dental recruitment agency to help you secure a job, and that means searching for a well-connected agency that has lots of industry experience. Many aspiring dentists utilise the professionals at First Point Recruitment to help them land their dream job because it’s an agency that has helped thousands of graduates over the years, and they can do the same for you. Below, this article will take a look at some of the steps involved with becoming a professional dentist. There’s no doubt about it, becoming a dentist is no simple task, but it’s a very rewarding career if you’re willing to put in the hard work. 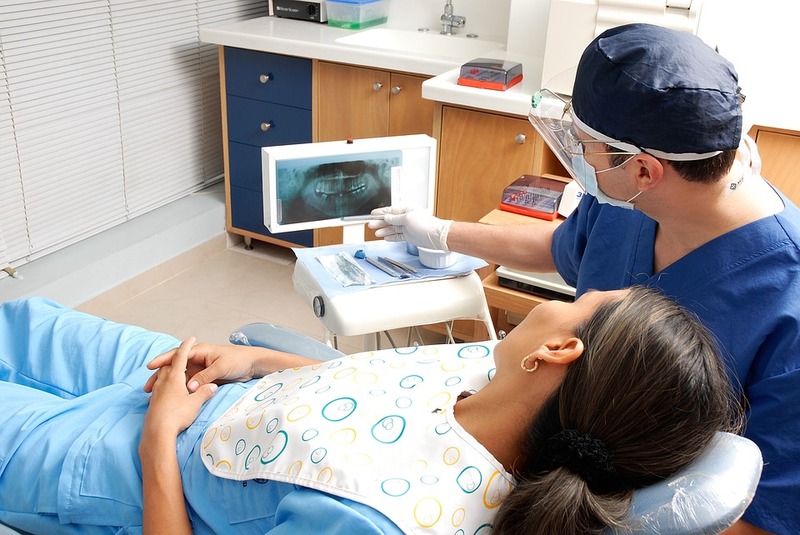 Here are some things you’ll need to do in order to become a qualified dentist. Study dentistry at university – If you’re reading this article, you might already have finished school and now be looking for a great university. You need to make sure you give your all to your university studies because only the very best graduates have what it takes to become dentists. You might need to gain a master’s or a doctorate depending on how far you want to go in your career. Become an apprentice – After you’ve finished university and gained the required qualifications, you’ll need to prove your worth by becoming a junior dentist or apprentice. Once you’ve shown that you’re competent, you’ll be able to start looking for more senior positions. Live your dream – After years of hard work, you’ll be able to become a fully qualified dentist. If you work extra hard and become a recognised professional, you may one day be able to open your very own practice. You’ll definitely love your career as a dentist because you’ll be helping dozens of people on a daily basis. It’ll take a lot of hard work to get there, but you can become a qualified dentist with dedication and time. Make sure you utilise a dependable recruitment agency to help you find the best jobs. Here in North America, the days are shortening, the temperatures are sinking, and the leaves are dropping. You know what that means. Winter’s just around the corner, and it’s bringing conditions that force all of us inside, including your kids. Convincing them to stay inside during sub-zero temps might be a challenge, especially when the freshly fallen snow is just begging to be rolled into a snowman. If you don’t have an activity set up to occupy their young minds as the next polar vortex rages on, you’ll have to deal with a litany of ‘I’m bored’s throughout the day. Quite frankly, there’s only so much whining a mother can take, which is why you should distract them with a musical instrument. This diversion tactic may seem self-serving initially, but this hobby can have a positive effect on their entire lives should they stick with it. What starts simply as a quick fix for cabin fever can evolve into a lifelong commitment, with significant benefits to theirphysical, emotional, and social well-being. Regular practice can improve your child’s ability to understand languages, mathematics, and spatial reasoning, giving them a greater chance at succeeding in their academic studies. They can tap into a well of creativityand unlock a wealth of self-confidence that serves them later in life. How does simply plucking at a guitar or stroking the ivories set them up for success? Well, for one thing, it can’t just be a passing interest. They need to commit to regular, deliberate practice if they want to see the benefits of their studies. For another thing, it’s how their brain works as they’re learning the vocabulary of their instrument. The synapses in the left hemisphere are deeply affected when children pick up an instrument. Every time they play or read music, the areas of the brain responsible for communication and problem solving get a work out. Over time, these pathways strengthen and their abilities to express themselves and process the world around them improve exponentially.Studies have shown that the mental callisthenics of musical education correlate to increased IQ scores and improved performances in school. As you see their test marks go up, their stress levels will go down. The physical act of playing their instrument is made up of patterned movements that can lower the amount of stress hormones affecting their moods. In fact, the power of music can even lower their blood pressure as it will release endorphins every time they play! Music is also a creative outlet for self-expression that can help your children communicate their emotions in new and healthy ways. 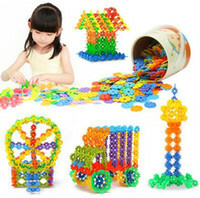 Keeping your children occupied during the winter months now seem like the added bonus. The true advantages of enrolling them in lessons this season are the better opportunities they’ll have as smarter and more emotionally balanced individuals. And it all starts by finding the perfect instrument. It’s notoriously hard to get children to stick with their lessons. Your task is only made harder when they don’t like their instrument and the outside world is a winter wonderland. If you live in the Great White North (where the winter conditions are harshest) check out Canada’s online music store. 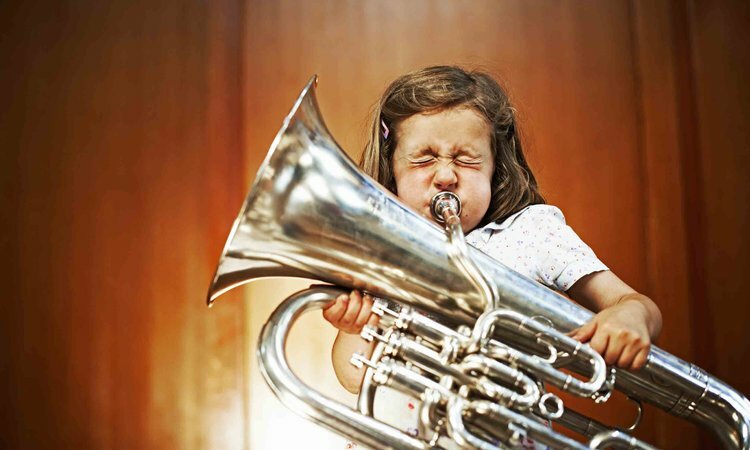 You and your kids won’t even have to leave your home to pick out which instrument they like best. From keyboards to guitars and everything in between, you’ll be able to find something that they like and that fits your budget too. So it may just start as a distraction to keep them occupied when the weather’s too extreme, but it can turn into a lifelong hobby with significant benefits to their IQ and emotional well-being. Take the time to explore instruments together at an online music store, and get them started on the right path.